I don’t know how Nina Garcia got to be a fashion director or a judge on Project Runway. All the time I see the woman, she looks sloppy. Her hair is unkempt. And her style is bland. She always wears black or muted block colors. Boring! 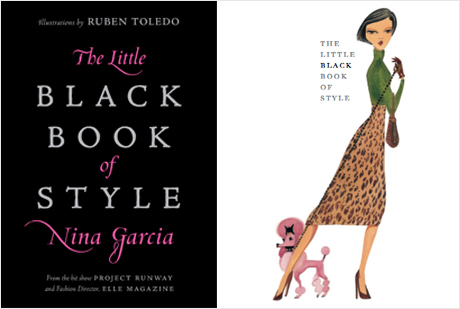 But she did author a good style book called The Little Black Book of Style which is illustrated. I collect illustrated books. Hint, hint! Every time I re-read the book, I go into my closet and discard what no longer works. Here are some worthy tidbits from her book.